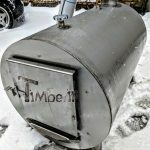 ﻿ Wood Fired Burning Electric HOT TUB Heaters for sale / 10+ Models! 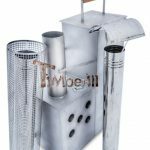 Wood-fired, wood-burning stoves for hot tubs from the manufacturer – TimberIN factory! What does that mean? 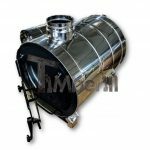 ‎Thanks to your direct communication with the factory your order will be produced as precise as possible. Involving the third parties (resellers) in the purchase process would always increase the possibility of wrongly understood and therefore manufactured product. Wood fired heaters perfectly fit to every wooden hot tub model. However, there are many choices possible. 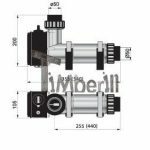 Internal heaters are easy to install and it is a common model. On the other hand, external hot tub heaters are mounted separately, therefore, a lot of space is saved. 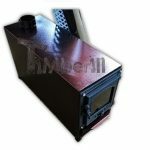 All types of heaters are sold with full connections, pipes and rain hats. For the additional cost, one can choose stainless steel grade 316 instead of 430. 316 stainless steel is resistant to chlorine and seawater. Snorkel, or external wood-burning heaters? low pressure which lifts cold water from the bottom and, therefore, a pump powered by electricity is not needed. The main advantage of having an external heater is that it provides more space in the tub while having an internal model, one can put fuel without getting outside the hot tub. 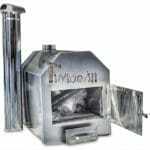 2 mm stainless steel is used to produce the stoves. It must be noted that if there is a possibility of water getting frozen, it should be drained from the oven. The heat which comes from the fire is transferred to water thought complex oven`s double surface. 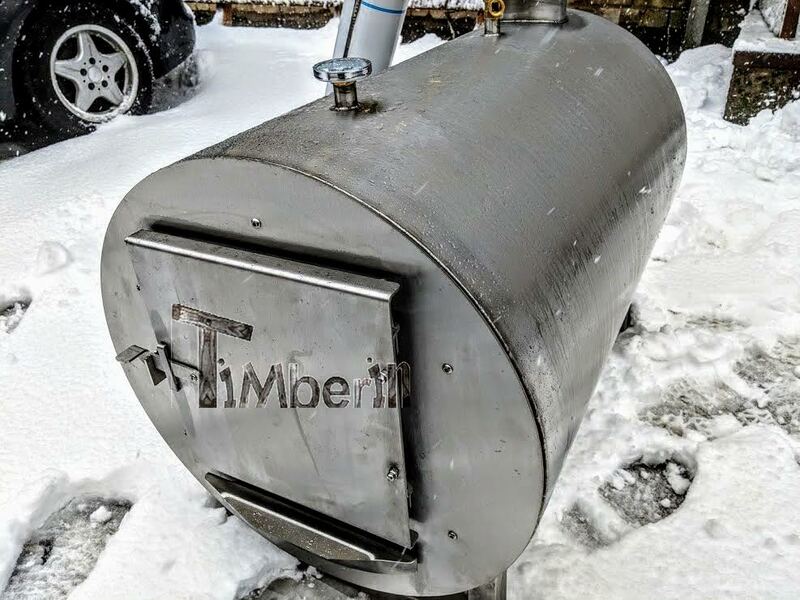 Wood fired heater is connected to the hot tub using connection pipes which come with the delivery package. This package combines metal pipes and flexible rubber hoses with presses on it for a safe connection. 2 m length chimney and rain hat is also in the package. Feedbacks from our previous customers. The upper and lower pipes should be connected with oven. In winter all water should be drained after using a hot tub. This should be done due to frost possibility. Water can get frozen and ice expands its volume, therefore, damaging the interior of the oven. Attention: if sea or chloride water is used, it becomes necessary to rinse the oven with fresh water. Grade 430. This type of stainless is a common choice. 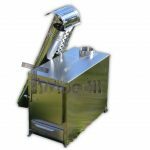 However, we do recommend upgrading the metal to 316 stainless steel since no chlorine, salts or other water treating solutions can be used, as in long-term it will damage the metal. Grade 316. Stainless steel is also non-magnetic. This stainless steel has the best corrosion resistant properties. We highly recommend this grade since in a long-term you will forget the rust problems. Together with wood-fired stoves, we offer electric heaters. We have a wide selection in terms of power and use. One can choose from 3 kW to 18 kW. The most popular choice is 6 kW heater which heats the hot tub in approximately 3 hours if the tub is completely insulated. In terms of connectivity, we do offer 220V or 380 V, single phase or 3 phases versions. When selecting an electric heater for hot tubs, please verify your house`s electricity allowance to make sure you are not getting overpowered. 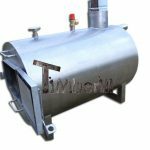 Electric heaters come together with water circulation pump which is needed to run the water through the system.